I was born a country girl and still embrace a natural bend towards comfort more than style. I'm blessed to live on our 170 year old family farm with Hubster, and our two rescued fur-kids Abby and Toby. Growing up on a farm created a deep love of all things nature. I've been a genealogist since my teens and some of my research is available at GenThreads. As a child I studied piano for seven years and then studied music in college. I've always loved singing and playing and am very active at my church. 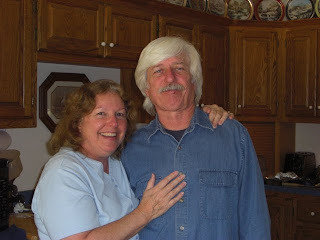 Hubster and I love thrift stores and I started selling online in 2006. Our best finds are sold at EccentricThrifter and Cabana Threads. Today life is good and God blesses us daily. We continue to grow and wish everyone God's richest blessings! !